Lots of people talk about the Higher Self, and you may already have a good connection with your inner guidance. Why then would I want to tell you to learn my practice of connecting with your Higher Self to get 100% accurate connection? First let me ask you, do you follow your guidance or your inner wisdom channel? I expect most of you will say yes. That’s great. Now, let me ask you, do you follow your guidance 100% of the time? Everyone, even the people who say they have a very good Higher Self connection will say no! Let’s back up. What is the Higher Self? Why do I capitalize the words? Your Higher Self is the version of you that is fully connected to God. It’s your heavenly self. It’s what you think of when you think of the saints or ascended masters, but your version of that. It’s the version of you that knows the related information to your life – what you care about and what you may need to know that you do not yet know! Your Higher Self is you, but it’s your exalted you! Because your Higher Self is the Ascended Master-You, you will bring in a high vibration of love and acceptance into all your decisions. It is your fifth dimensional self. Everyone, at some point, will become their fifth dimensional self – but it won’t happen in one fell swoop like some people will tell you. So why not master your Higher Self connection NOW with this tool? Each individual becomes evolved, or fifth dimensional, and then slides back into their 3D expression. For example, your fifth dimensional self maintains unconditional love in your heart and then something happens (with your mind or emotions) to disappoint you, or to trigger you, and you find yourself reacting, dropping back into your third dimensional expression. You can find lots of examples of how this works in the book Waking Up in 5D. Ultimately, the benefit of developing a 100% accurate Higher Self connection is priceless. It’s easy to do and takes very little effort or time in your day. It does require a six-week commitment. It does require you to follow certain rules to succeed. The rules are critical so pay attention to the details. I discovered this method when I was teaching my students about the Higher Self. I wanted to be able to give them a way to know for sure it IS their Higher Self talking to them. I actually asked my Higher Self to teach me a method to teach the students. I also asked for a logical reason to always want to follow your Higher Self, because using logic to decide to follow your Higher Self makes this decision a no-brainer. Will you be giving up free will to follow your Higher Self? No! You are using free will to learn the language of your Higher Self and using free will to decide to take the action recommended by your Higher Self. In fact, it’s a bit like an answer key to life! It’s like an open book test. How will you know it’s really your Higher Self? Initially you won’t know. However, with practice, you will gain experience and familiarity. You’ll be practicing on unimportant questions, so there’s no pressure to be “right.” It’s all done in a very playful way! When you watch a local TV show and the weather person interrupts the program to give you a weather alert, you pay attention, close the windows, move the car to the garage or take cover. These kinds of alerts come as safety warnings to tell you something that you have not anticipated. It is an update on situation normal that you are going to experience. We know these updates are important, and experience and logic tell us that you will benefit if you listen and heed the warning. When your Higher Self gives you information that you didn’t ask for (after your practice period) you benefit from taking action because your experience tells you that your Higher Self is always right. 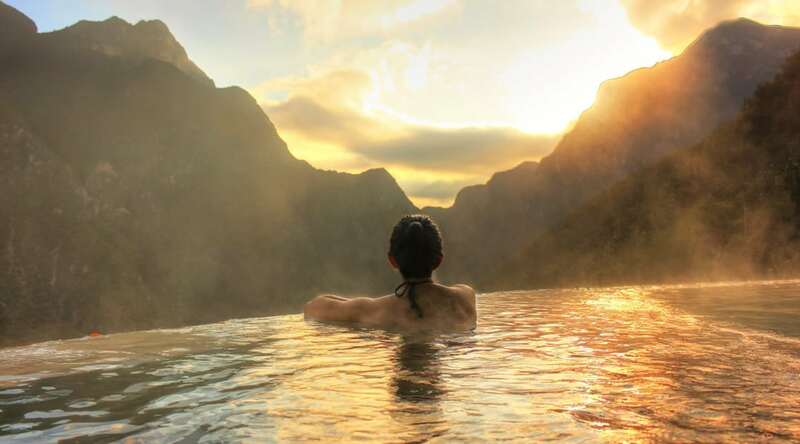 When you decide to learn how to connect with your Higher Self you will be practicing with the seven guidelines that direct your action for six weeks. In fact, naming your six weeks practice period by its ending date is the first rule. This is so you can look forward to your success, and you know that you will have achieved mastery with your connection to your Higher Self within a prescribed timeframe. It takes the guesswork out of wondering if your Higher Self has really come through for you. How can I know you will achieve mastery after six weeks? According to Donald Epstein, DC, inventor of Network Chiropractic and author of numerous books, it takes six weeks to get new DNA. It takes six weeks for you to integrate your practice into your consciousness and build the Higher Self connection. During your practice period you will be asking your Higher Self only ‘yes’ or ‘no’ questions. This is so that you can develop a rapport with your Higher Self that you can become familiar with. Once you have completed your practice period, you will have created the ability for your Higher Self to come to you, unsolicited. This is where it gets interesting! Many times, you will get guidance to take an action, avoid a situation, or decline an invitation. This will help you with every decision in life. This is you, with you as a personal assistant who knows everything you care about – and need to know. What could be better than that? 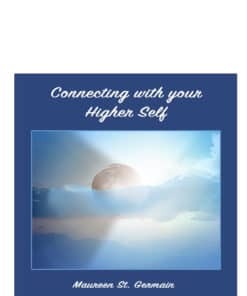 I’m excited to share this knowledge with you, the Higher Self Connection Course for $99. You’ll never need or want to go back to your other forms of divination once you’ve perfected your Higher Self connection! Watch yourself out there. Everyone is being influenced by the energies of anger. If you are the object of someone’s anger – do not retaliate, do not try to correct them, or get even or even explain. Be open to new solutions and, instead, be the Buddha.